The famous question ‘got milk?’ is not so simple any more. If the American advertising campaign encouraging the consumption of cow’s milk was to launch today it would raise a hundred more questions. Full fat, or skimmed? Pasteurised or raw? Cow or donkey? and is milk made from almonds ‘milk’ or ‘mylk’? Like coffee, bread, and salt, milk is one of the other everyday foodstuffs that have been given a gourmet makeover. Milk snobbery is now a thing, and your choice of milk likely to make political and/or fashion statement. While soya milk was once an exotic choice at the coffee shop counter, now it might raise your barista’s eyebrow: do you even know that soy messes with your mineral absorption? Even support for the darling of the alternative plant ‘mylks’, almond milk, is turning sour due to its hefty environmental impact. Milk is no longer just for splashing on cereal. From the return of the classic whole milk, to the more bizarre cockroach milk, we’ve rounded the 12 milks of the moment that are set to make a splash in 2017. To begin, let’s go back to basics; natural, whole, full-fat milk. Step away from the skim milk, full-fat milk is having a moment. While not every one agrees, a recent flood of books and independent studies have extolled the virtues of a fat-rich diet, dairy products included, and have busted the full-fat dairy myths, with some research even suggesting that people who consume full-fat dairy weigh less and are less likely to develop diabetes. Others claim it may decrease the risk of coronary heart disease and depress cancer cell growth due to the bioactive compounds in milk fat, such as conjugated linoleic acid. The interest in whole-milk dairy products also ties into the’Just Eat Real Food’ trend – #JERF, if you will. We’ll take this as the go ahead to whole heatedly embrace full fat milk, yogurt, and cheese. You might have spotted a number of intense-looking young men in football shorts at bus stops and on street corners lately. 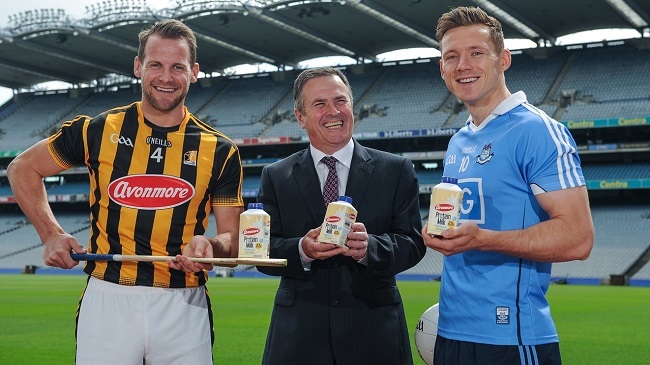 Unfortunately, their presence is in poster form only to promote Avonmore’s Protein Milk, developed in partnership with the GAA. With 50% extra whey and casein protein, that promises to help aid your body’s muscle development, cartons of protein milk are replacing protein shakers as the post-work our fuel of choice, proudly toted between gym sessions, training matches. Taking another approach to milk protein is a2 Milk™, which contains only the easy to digest A2 protein, which in regular milk are mixed with inflammatory A1 proteins. 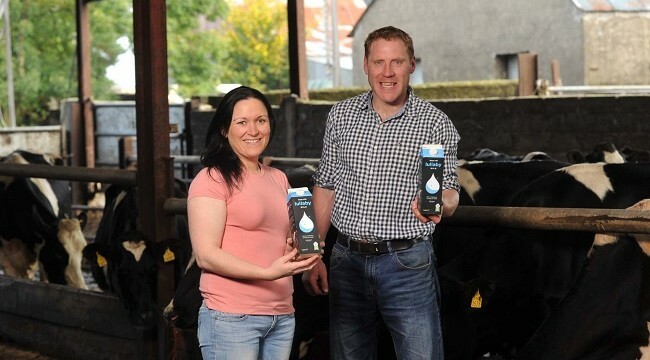 Launched in Australia in 2000, where a2 Milk™ now accounts for 10% of all fresh milk sales, the brand has spread to the UK but isn’t expected to hit Irish dairy aisle shelves for another few years. We are well versed on the benefits of diet and exercise, and now the world is finally waking up to the equal value of sleep. Thankfully for those who struggle to nod off, sleep is now for sale, and even better it tastes pretty good. In North Cork the farmers behind Lullaby Milk, milk their cows before dawn when it is said to have higher levels of naturally occuring melatonin, known as the ‘sleep hormone’. With nothing added, except some clever know how, by sipping on some Lullaby milk 1 hour before going to bed it is said to act as a 100% natural sleep aid. Similarly, German company, Milchkristalle, also sells a crystalline powder made from fat-free milk produced from cows milked at night, which it says has 100 times more melatonin and higher amount of vitamin D than regular milk. No need to count sheep, then. 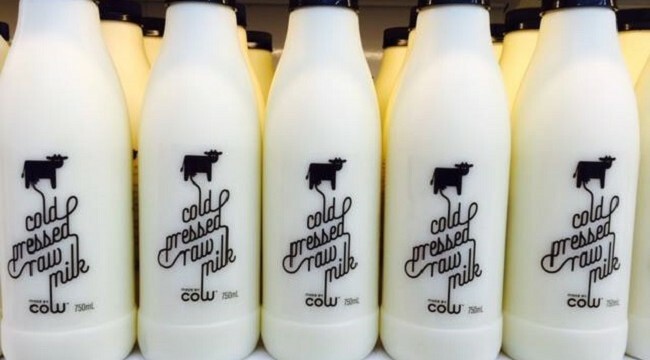 Cold-pressed raw milk is a hot topic. An Australian company made headlines this year when their raw alternative to conventional heat pasteurised milk hit the shelves. Though said to be higher in the nutrients usually affected by heat, selling raw milk is illegal in Australia as it contains micro-organisms that can cause serious illnesses. By using hygienic milking techniques and cold pressure Made by Cow‘s cold-pressed raw milk got green light from food safety authorities. In Ireland, the sale of unpasteurised milk was legalised over 10 years ago by EU legislation, though its safety and nutritional benefits continues to be debated, and its sale is still unregulated. If you’re cool with non-heat treated milk view the full list of local farmers and stockists on rawmilkireland.com. Once upon a time, there was a dairy farm that ran out of hay, so the farmers raided their kitchen cupboards and fed their cows cereal. The next morning, when they milked their cows, the milk tasted sweet and delicious, and so cereal milk was born. Okay, this is not how its made, but milk that tastes just like the milk at the bottom of a cereal bowl is thing. 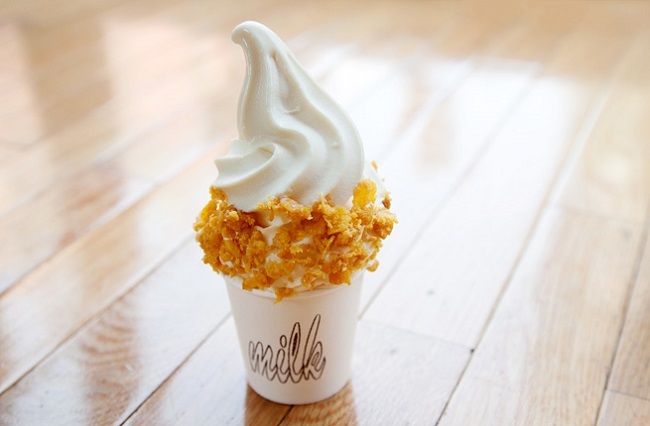 The magic milk was created by Christina Tosi from Milk Bar in NYC, where they use it to make the milkshakes and cornflake coated soft serves. In London, Blondies Kitchen, a milk and cookie themed pop-up, offered Coco Pops cereal milk, and there are a slew of other handcrafted flavored milks now flooding the market. In Dublin, The Dublin Cookie Company have concocted a range that includes cookie, chocolate, and coffee flavoured milk, and promise that a salted caramel milk is in the late stages of recipe development. The market is awash with plant-based milk alternatives, but a San Franciso based startup aims to be the first to create a dairy-free milk that’s identical in nutrition and taste to actual cow’s milk. After raising $4 million from investors, the scientists at Perfect Day are using bovine DNA, along with yeast and plant nutrients, to craft a cocktail that’s indistinguishable from the real thing. As well as being completely vegan-friendly, the milk will also eliminate the environmental implications of producing milk from dairy cows. Crucially, unlike other animal-free milks it won’t sacrifice milk’s chemical composition, making it perfect create ice cream, yogurt, and cheese – the wholly grail of vegans, who often have to put up with poor imitations. 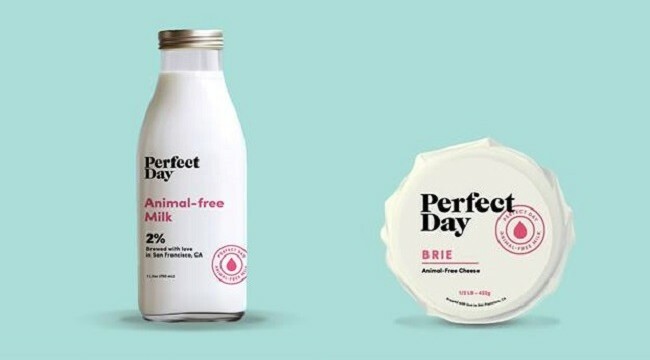 Perfect Day hopes to makes these dairy delights available by the end of 2017, with milk to follow, so animal-loving dairy consumers can soon indulge with a clear conscience. We’ve seen milk made from goats, buffalo and even camels, but the latest milk tipped to be the next big nutrition trend is donkey milk. 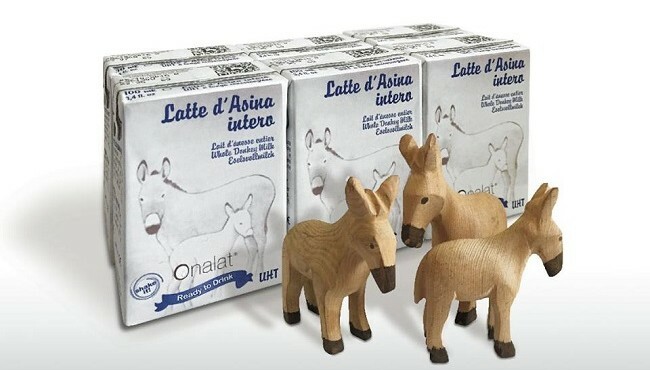 A favourite of Hippocrates and of the ancient Romans, and already a star ingredient in modern skin care products, a Swiss company called Eurolactis recently launched the world’s first carton-packed donkey milk. Rather than chugging back pints of the stuff, the milk is designed to be taken as supplement to boost immunity, or for those with cow milk allergies. 100ml cartons are currently for sale in select locations across Europe, from between €2.80 and €3.80, and the company also has plans high-end donkey milk chocolate bar, made by a master Swiss chocolatier. Someone finally figured out they could make “milk” out of bananas. Florida based start-up, Banana Wave, claims to produce the only all-natural banana milk, made from a mixture of bananas, grains and seeds. If you can’t make it stateside you can also make banana milk at home, by blending 1 banana, peeled and frozen into chunks, 1 cup water, a pinch salt and a dash of cinnamon to create a milkshake-like beverage perfect for smoothies or baking. Plus, it’s less expensive to make than nut milks, lower in calories, and has heaps of fiber and potassium. In Brooklyn, people are going bananas over a banana milk cold brew coffee from J+B Design & Cafe. 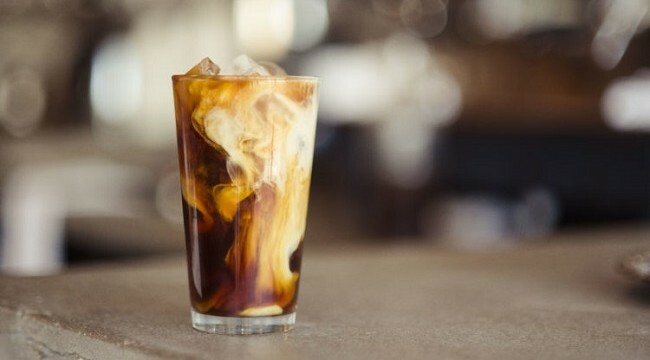 Not quite a milkshake or a latte, but definitely more indulgent than your usual plain, black cold brew, the beverage is made with a blend of milk, banana, and a splash of syrup. Move over pumpkin spiced latte, banana milk coffee is being heralded as this seasons new ‘it’ drink. Almond, cashew, rice, oat, hemp, and coconut, the plant-based milk market is well saturated. 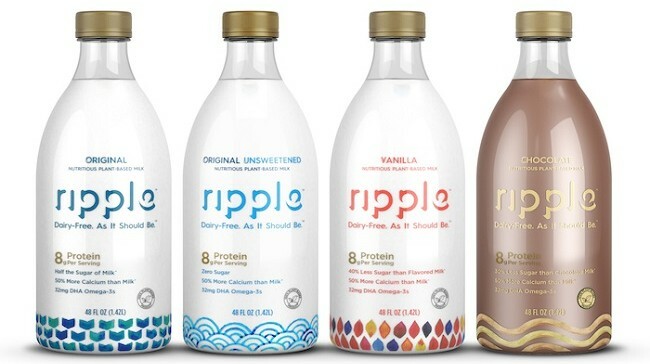 Looking outside the usual soy-and-nut box the technologist behind American company Ripple are hoping their yellow pea milk will to topple almond milk from it king pin status with its superior dietary and environmental benefits. The ‘super legumes’, peas, are high in fiber, low in fat, cholesterol-free, hypoallergenic, and filled with satiating branched chain amino acids (BCAAs). The milk is also free from things like GMOs and carrageenan, often found lurking in the ingredient lists on soy and nut milk cartons. Yellow pea milk also boasts eight grams of protein per serving, eight times what you’ll find in the average almond milk, and its sustainability stats are pretty impressive too: it takes 93 percent less water to make Ripple than dairy milk, and it takes 85 percent less water to grow peas than almonds. And no, it doesn’t taste anything like peas. Riding on the coat tails of the gut health trend, milk made from small, unassuming, and wrinkly, tigernuts is a possible contender as the next kombucha. High in fiber, and resistant starch, which promotes production of good gut bacteria, tigernuts also have an impressive nutrient profile that is said to mirror that of human breast milk. Among the first foods cultivate by early humans, Tigernuts are not actually nuts, but tiny tubers that are still today used to make a milk called Kunnu Aya in Nigeria and Horchata de Chufa in Spain. Naturally sweet, creamy and nutty to taste, tigernut milk is easy to make too; just soak tigernuts (available on Amazon) in water, blend and strain. To get an authentic taste, add sweet spices like cardamom and cinnamon and alligator pepper, a West African spice known for it’s aphrodisiac properties. 2016 has been the year of turmeric. The super-spice is lauded for its anti-inflammation capabilities, from everything from aches to arthritis, as a skin, digestion and immunity booster, and even a cure for depression and cancer. Throw it into curries, soups, and smoothies, health nuts are also getting their fix with ‘golden milk’, or turmeric milk. 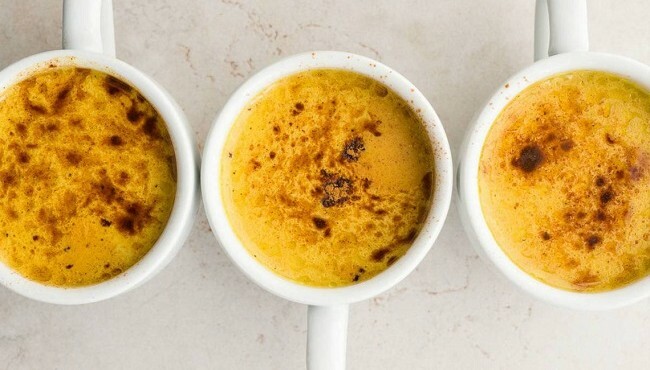 Traditionally Indian ‘haldi doodh’ is prepared by simply adding ground turmeric to piping hot milk, but the yellow hued, frothy, creamy ‘golden lattes’, popularised in western coffee shops, have become pure Instagram gold. Have a go at making your own following this recipe video from the Happy Pear – just beware that if using fresh turmeric root you might have to put up with yellow stained fingers for a few days. We’ve saved the worst for last, and yes, it’s kind of as gross as it sounds. 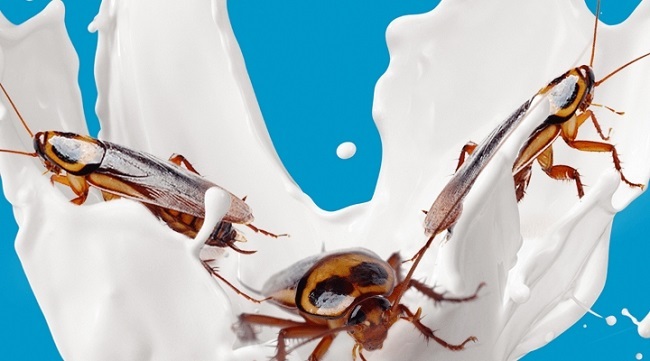 After 10 years of research a scientific paper was recently launched claiming cockroach milk could be the next superfood. Cockroaches they aren’t mammals and don’t literally lactate, but one species of cockroach feeds their babies with a nutritious secretion. When you ‘milk’ these cockroaches the milk protein is in the form of crystals, which is described as a “complete food”, containing almost four times the energy of cow’s milk. Erica grew up with a baker and confectioner for a father, and a mother with an instinct and love for good food. It is little wonder then that, after completing a law, she went on to do a Masters in Food Business at UCC. 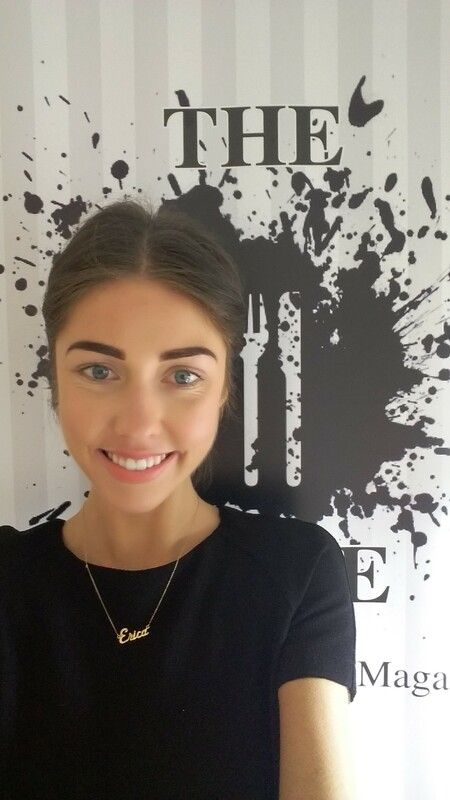 With a consuming passion for all things food, nutrition and wellness, working with TheTaste is a perfect fit for Erica; allowing her to learn and experience every aspect of the food world meeting its characters and influencers along the way.